Get ready to experience Joshua Henry's soul-stirring "Soliloquy" on repeat. 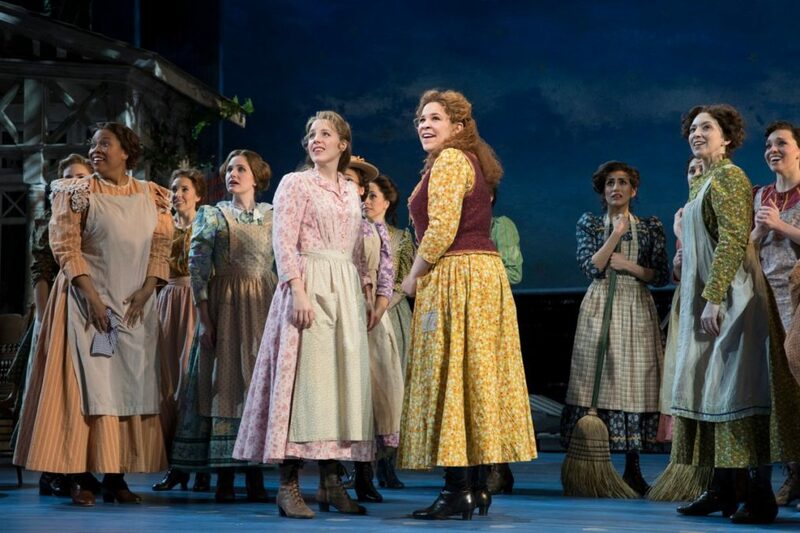 The Tony-nominated revival of Rodgers & Hammerstein's Carousel has announced an original Broadway cast recording. The album will be released digitally on June 8 with a physical CD available on July 13. Henry leads the cast in a Tony-nominated turn as Billy Bigelow alongside Jessie Mueller in a Tony-nommed performance as Julie Jordan. The principal company also includes Tony nominee and Broadway.com vlogger Lindsay Mendez as Carrie Pipperidge, Tony nominee Alexander Gemignani as Enoch Snow, Tony nominee Renée Fleming as Nettie Fowler, Tony nominee John Douglas Thompson as the Starkeeper, Amar Ramasar as Jigger, Brittany Pollack as Louise and Margaret Colin as Mrs. Mullin. Tony winner Jack O'Brien directs the revival with choreography by Tony nominee Justin Peck. Previews began on February 28 with an official opening of April 12. Carousel features orchestrations by Jonathan Tunick and musical direction by Andy Einhorn.